The Metrus Group of Somerville, New Jersey, studied the difference between organizations that are “measurement-managed” versus those organizations that were not in complete-agreeance on measurable criteria for success. Ninety-seven percent of measurement-managed organizations were likely to find success in their major change efforts and 74 percent were likely to be perceived as an industry leader, compared to non-measurement managed organizations at 55 percent and 44 percent respectively. With all of the advantages of proper measurement, it clocks in as the fifth major ingredient to a successful recruitment program, says Pam Verhoff, President at AdvancedRPO, a talent acquisition organization specializing in recruitment process outsourcing. “I like to think of measurement as the bow on the talent acquisition package. Identifying and measuring your key performance indicators is truly what drives a high-performance talent acquisition program,” she observes. But getting to that level takes some work. Measurement, generally speaking, can be divided into three categories. The first of these is efficiency, says Verhoff. This includes basic information related to hiring such as time to fill and the effectiveness of your hiring sources. “This sort of information is going to help drive the right investments,” explains Verhoff. Efficiency includes your financial information as well. What is the cost per hire for your organization? And how does that differ by role or by level in your organization? This sort of information can help with your overall budgeting. “Think about how you can connect the dots with this information,” Verhoff says. The next component of measurement is effectiveness, which gauges how well the processes you use for recruitment work. For example, what are the ratios on important hiring processes? You want to be able to trace the journey from applicant to screening, screening to interview, interviews to offers, and offers to hires across your entire program. Finally, there’s customer satisfaction. Like Advanced RPO explained earlier, you need to truly know the satisfaction levels of your customers, as well as what they truly want. Regular communication with your customers, including surveys and other feedback loops are crucial for gathering this information. Once you’ve identified the three main categories of measurement in your organization, the process of measurement comes down to your tools. A data dashboard is where most of your data will live, so ideally, what does that dashboard look like? What information needs to be immediately accessible on the dashboard, and what information can live deeper in the dashboard? 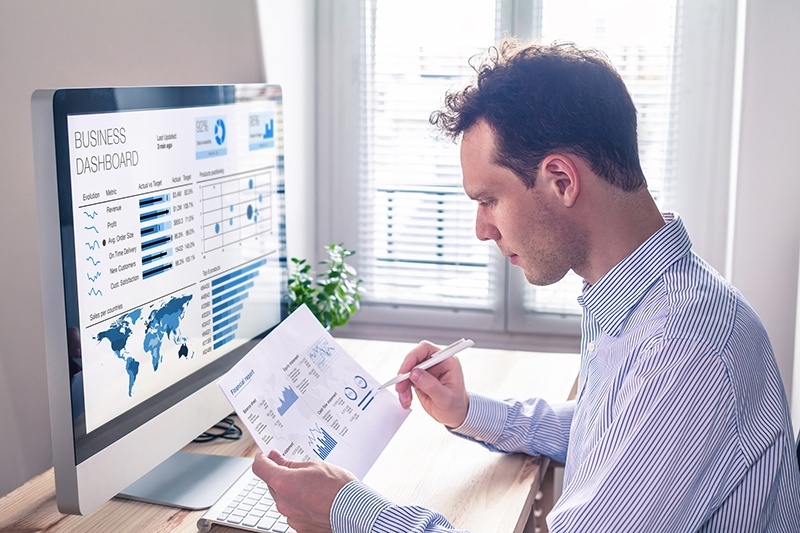 Remember that this data needs to be easily accessible and digestible by those in the organization that need it, such as hiring managers and key stakeholders, says Verhoff. What other tools do you need to present that information easily? Or if you plan on distributing that information manually, such as through printouts or at meetings, make sure you have a process in place for creating that presentation. There are a variety of applicant tracking systems and customer relations management software out there, all with a variety of features and customization options you can tweak to fit your organization’s needs. It’s easy to get overwhelmed with the options or adopt features you won’t need, so a careful review of your exact data management needs can help narrow down your choices. And of course, an RPO can help identify a strong software option – or take over that management entirely. When you combine these five components – business alignment, talent engagement strategy, knowing your recruitment market, having a customer-centric process, and measurement – you have a recipe for a talent acquisition program that secures top talent and drives your organization to greater success. To hear more about the essential components of a successful talent acquisition program, check out Advanced RPO’s webinar “Top Five Requirements for Every Talent Acquisition Program,” hosted by the Recruitment Process Outsourcing Association, and stay tuned for more need to know news and best practices about talent acquisition and RPO at the RPOA blog.